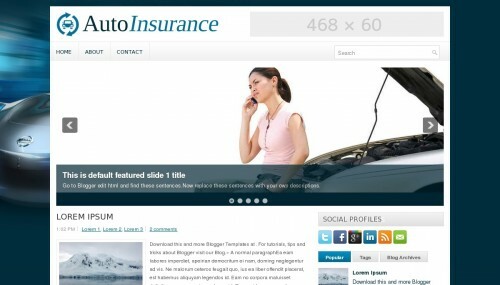 AutoInsurance is a free blogger template adapted from WordPress with 2 columns, right sidebar, ads ready, footer columns, slider, social bookmarking icons, posts thumbnails and tabs. Hello!!. Excuse me, but i can’t find “twitter” or “1.jpg” to edit my social profiles and the slideshow. I would like to modify the logo, i want it wider, if it’s possible. a lot of thanks, and regards! !